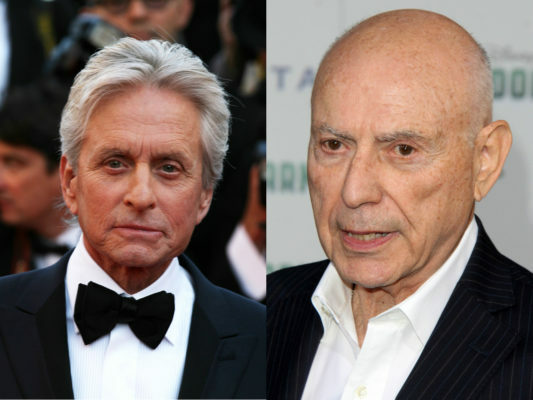 Michael Douglas and Alan Arkin are headed to Netflix. According to The Hollywood Reporter, the two veteran actors have joined the streaming service’s upcoming TV show The Kominsky Method. From Chuck Lorre, the comedy follows Sandy Kominsky (Douglas), “an actor who years ago had a brief fling with success and is now a revered Hollywood acting coach.” Arkin will play Norman, Sandy’s long-time agent and friend. Netflix has ordered 10 episodes of The Kominsky Method. No premiere date has been set yet. What do you think? Are you a fan of Chuck Lorre’s work? Will you watch The Kominsky Method? More about: Netflix TV shows: canceled or renewed?, The Kominsky Method, The Kominsky Method: canceled or renewed? The Kominsky Method: Cancelled or Renewed for Season Two on Netflix? OMG! I discovered “THE KOMINSKY METHOD” and LOVED IT! I watched it until 6am. I could not stop watching. It is perfect! I laughed so hard. Awesome! PLEASE PLEASE PLEASE bring it back for second, third, fourth season. We loved it. Laughed ourselves silly. We have been married 61 years and are happy to have lived to see this gem of a series. The out of warranty body functions were right on. have been telling everyone about the series. Hope there is a season 2.